There has always been – and probably will always continue to be – confusion surrounding what a psychologist does, and what a psychiatrist does. While the names sound similar, there are important differences in their job roles and responsibilities. Best described, they help everyday people cope with what can be everyday problems that have become too big to handle alone. A psychologist will employ a range of techniques to help someone develop the tools to overcome these problems. These techniques are a range of therapies, and they can be employed in many fields (hospitals, schools, defence forces/law enforcement and community health). 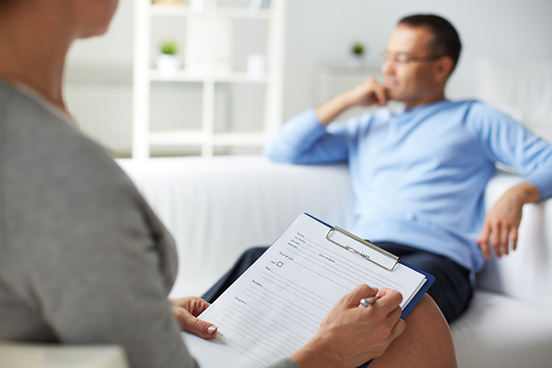 At your initial assessment your psychologist will take a detailed history, and will most likely take notes. They will ask questions about your personal and employment backgrounds, what brought you to see them today (if you know what it was) and what you hope to get out of therapy. They will listen, write, and ask questions at pertinent points in your talks. They could use questionnaires and/or other tools during your sessions (some may be to establish a baseline, others will give them important information about the type of personality you have and how you will best benefit from different therapeutic styles). They may give you ‘homework’, which is crucial if your sessions are to be of benefit. And they will check at each session to see how your progress is travelling. As an aside, a psychiatrist is a medical professional who can establish whether the difficulties you are facing might have a physical cause; they can also prescribe medications, if necessary.